Earth is drowning, but Isabel Visconti won’t be going down with the planet. Her earnings as a factory drone and prostitute will soon fund her escape to the stars. All she’ll leave behind is her late husband’s best friend, Daniel Morneau, who has disappeared into the underbelly of the city’s criminal gangs. Until he shows up, pleading for Isabel’s help. It’s the old Daniel, the kind, gentle one. The man who bought medicine for her dying husband then helped her through the grief. It’s the Daniel she couldn’t possibly refuse to help. But Isabel has already been given a choice by Daniel’s psychopath boss. Betray Daniel—or spend months travelling to a far-off colony, servicing a violent criminal gang along the way. When Daniel is abducted, Isabel is his only hope. He may die without her, but is there time enough for love on the eve of the end of the world? And now for my interview with Diane Dooley! The Galaxy Express: What inspired you to tell the story of Isabel and Daniel? I’ve spent a probably unhealthy amount of time thinking, reading, and writing about the end of the world. Isabel and Daniel are two ordinary people. They’re not rich or wealthy or powerful or famous. They’re just trying to survive. And that’s it, really. Weary survivors in an iconic city on a dying planet. How can they find hope? How can there be time for love? TGE: Please share at least five tags that you feel are important for readers to know. DD: Apocalyptic. Novella. Heroism. Survival. Hope. TGE: What kind of futuristic technology can readers expect in this world? DD: Very little, actually. In Blue Yonder, humanity has just about used up everything Earth has to offer. People have gathered in the surviving cities and are fleeing the planet via spaceports, heading out to the space colonies. So, though there is future tech in the form of space ferries, arc ships, space stations, etc, back on Earth it is fast reverting to the stone age. There’s no fuel for cars. There’s no ammo for guns. There’s no medicine for diseases. TGE: Are there danger/action-adventure elements in BLUE YONDER or is it a more character-driven story? TGE: Name the last movie you watched. Would you recommend it? Why or why not? 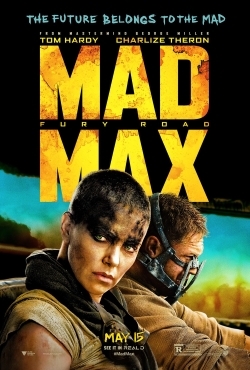 DD: Last movie I watched was Mad Max: Fury Road. It was fantastic! I love really intense chase scenes and I’ve been missing seeing great stunt work, so I was a happy camper. I loved rooting for Furiosa and the gals, and was happy to see an action movie in which there were so many female characters with agency. I recommend it wholeheartedly. Thanks for having me, Heather! Diane Dooley was born in the Channel Islands, grew up in Scotland, and now resides in the United States. She lives with her best friend/husband and two obstreperous boy children in a falling-down farmhouse in the sticks. She writes short stories and novellas in several genres and has been published in a variety of online and print publications, as well as by several digital-first publishing houses. She is also the Fiction Editor for Sci-Fi Romance Quarterly and a long time worker bee for the Science Fiction Romance Brigade. You can find Diane on Facebook, Twitter and her blog. 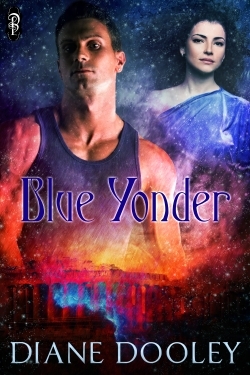 Read an excerpt of BLUE YONDER. For more information about where to obtain a copy, visit the author’s web site. If you’re a reviewer, contact the author for a review copy.